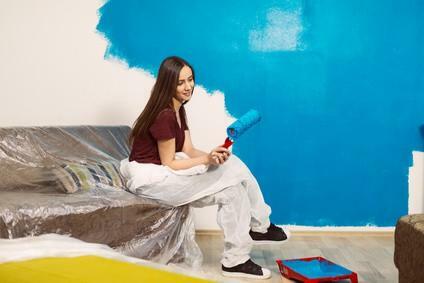 Painting is by far the easiest and cheapest way to instantly spruce up a room, and it’s the most common home improvement project. There are many different types of paint that you can use for that type of job. The type you choose will have a big effect on the way it looks. One of them is oil based paint. It is a lot more durable than other types, but how long does oil based paint take to dry? In this article we will be looking at the benefits of using it, and how long you should expect to set it aside before it is ready. Water based paint – This is the most common type of paint on sale, and contains a low level of toxic chemicals, is quick drying, very easy to clean up with water, doesn’t smell as strong, gives a consistent colour over time, and gives an elastic finish that doesn’t crack. Oil based paint – This is slightly trickier to work with, but can produce better results. You can’t clean it up as easily, for example, because water cannot be used. However, you will get a better-looking gloss, a better leveled and durable finish. It’s important to note that the two types of paint cannot be mixed. Never try to apply water based paint on top of oil based paint because it will chip off very easily. When painting any unfinished surface you should put down a layer of primer first, and it’s crucial that the primer has the same base to it as the paint you will be applying. There are a number of factors that determine how long your paint will take to dry. These include the amount of paint you have applied to the area, its thickness, the material that has been painted on, the temperature of the room, ventilation, and the humidity. Water based paint will usually be dry to the touch within an hour of applying it. In about four hours, you’ll be ready to add another layer over it. Of course, if the room is particularly cold or if you’ve applied a thick coat, this may take a little longer. Oil paint, on the other hand, can take much longer to dry. In normal conditions, the same area covered will take between six and eight hours to dry to the touch, and about sixteen hours until it is ready to have a second coat applied. Again, these times will vary based on the temperature, humidity, and thickness of the coat. If you are finding the water based or oil based paint not drying, then you will need to give it a lot more time, try to warm the room up a bit and increase the airflow within the room. Increase Air Flow – When air is stagnant, paint dries slower. If you have a window that you can open, this will help. By using oil based paint for your DIY projects, you will get a glossier, smoother finish than if you were to use water-based paint. It will also be more durable, but it takes a lot longer to complete. When looking at how long does oil based paint take to dry, it becomes clear why most people tend to choose water based paint, but if you persevere and have the extra time available, you’ll find that oil paint produces the best results.